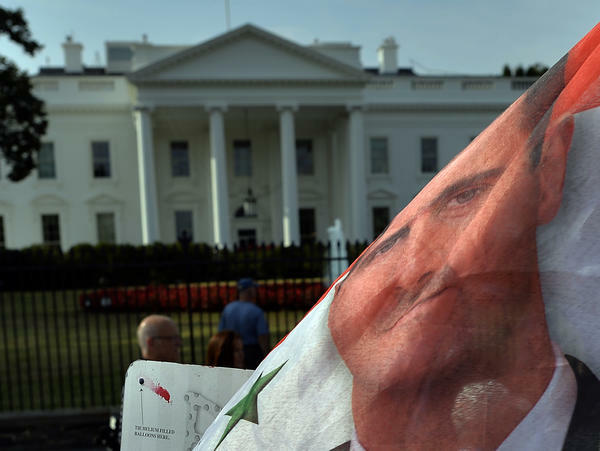 Amid reports that Syrian President Bashar Assad may be willing to give up his chemical weapons, as his strongest ally has suggested he do, the Obama administration expressed skepticism Tuesday. But the administration also said it would wait to see what sort of diplomatic solution Syria and "its Russian patrons" come up with. And according to the White House, President Obama and the leaders of France and Great Britain spoke Tuesday and "discussed their preference for a diplomatic resolution" while also agreeing on "the importance of continuing to develop a full range of responses by the international community to the Assad regime's use of chemical weapons near Damascus on August 21." Secretary of State John Kerry said the U.S., France and Great Britain would "work closely together in consultation with Russia and China to explore the viability of the Russian proposal." For the second straight day, diplomatic developments were dominating the news about the crisis. That maneuvering also affected the debate in Washington. There, a bipartisan group of senators (including Democrat Carl Levin of Michigan and Republican John McCain of Arizona) were said to be drafting a resolution authorizing the use of military force only after a prescribed period of time in which the U.N. would be given a chance to take control of Assad's chemical weapons. On the diplomatic front, while Russia announced Tuesday afternoon that it would be drafting a resolution to present to the U.N. that would call on Syria to put its chemical weapons under international control, France said it, too, was heading to the U.N. Security Council with a resolution. The French proposal would call on Syria to hand its chemical weapons over to international monitors and "accept that they will be dismantled," France 24 reports. Word about that resolution came from French Foreign Minister Laurent Fabius, who said the resolution would force the Assad regime to "reveal and dismantle its chemical weapons stockpile," place it under international control and face "serious consequences" for non-compliance. Russian diplomats, according to Reuters, were objecting to the French offering because it would also blame the Assad regime for the chemical weapons attack last month that reportedly killed more than 1,400 people. The Assad regime and its Russian allies insist that the U.S. and others have not proven the Syrian government was responsible. The Security Council, Reuters reported in the early afternoon, would hold an emergency, closed-door meeting at 4 p.m. ET, but around 3 p.m. ET, Russia withdrew its request for a meeting. Dueling U.N. resolutions would follow the dramatic events of Monday, which as NPR's Corey Flintoff explained on Morning Edition, began when Kerry said Assad might be able to head off a U.S. military strike if he turns over "every single bit of his chemical weapons to the international community in the next week." Within hours of Kerry's comment, Russian Foreign Minister Sergey Lavrov was saying he had urged his Syrian counterpart to do that. Syrian Foreign Minister Walid al-Moualem then said his nation welcomed the Russian suggestion. Finally, President Obama capped the day by telling U.S. TV networks that he favors a diplomatic solution to the crisis. Among the unknowns: How the French resolution will or won't compare to the idea floated by Lavrov; the details of just what Syria has supposedly accepted; and whether Assad would abide by whatever language and potential requirements are in any resolution. Along with the news about the resolution that France will put before the Security Council — which might win support from Russia and China — there's also word early Tuesday from Russia's Interfax news agency that "Syria accepts" the Russian proposal to put its chemical weapons under international control. The Russian news outlet RT.com reports that, according to Interfax, the Syrian foreign minister said Tuesday that "we accepted Russia's initiative." The Associated Press quotes the minister as saying Syria hopes its decision will "uproot U.S. aggression." Later in the day, RT.com added that Syria's foreign minister claimed his nation is ready to sign the international Chemical Weapons Convention that bans the use of such weapons and stands ready to open its storage sites for inspection. From the White House on Tuesday, spokesman Jay Carney told MSNBC that "we need to make sure ... that the Syrians are serious and will actually follow through on a commitment to give up a chemical weapons stockpile that they've been husbanding for decades." "There is ample reason to be skeptical," Carney added. He also said President Obama will press forward with his effort to win congressional approval for possible military action against Assad. It is the threat of such action, said Carney, that has led to a "possible" diplomatic breakthrough. A Senate vote on the president's request, which had been set for Wednesday, was postponed after word surfaced of the Russian plan. On Capitol Hill, Kerry told a House Armed Services Committee hearing that convened at mid-morning that "throughout this process," the president's first priority has been to push for a diplomatic solution. But, said Kerry, "our diplomatic hand only becomes stronger if other countries know America is speaking with one voice" and that Obama has the support of Congress. Of the Russian plan regarding Syria's chemical weapons, Kerry said, "We're waiting for the proposal, but we're not waiting for long." It cannot be a way to delay holding Assad accountable, he said, and must provide for "real, measurable, tangible" results. "We're not going to fall for stalling tactics," Kerry added. As Kerry was testifying, Senate Minority Leader Mitch McConnell (R-Ky.) announced he will oppose the president's request for support. "A vital national security risk is clearly not at play," McConnell says in remarks prepared for delivery on the Senate floor, "there are just too many unanswered questions about our long-term strategy in Syria, including the fact that this proposal is utterly detached from a wider strategy to end the civil war there, and on the specific question of deterring the use of chemical weapons, the president's proposal appears to be based on a contradiction. Either we will strike targets that threaten the stability of the regime — something the President says he does not intend to do — or we will execute a strike so narrow as to be a mere demonstration." The Republican leader in the House, Speaker John Boehner of Ohio, said last week that he will support the president's request. President Obama is set to address the nation at 9 p.m. ET. While he's expected to again make his case for taking military action against Syria, he's also now expected to address these latest diplomatic developments. Meanwhile, on CBS This Morning, Republican Sen. John McCain of Arizona said he is "very skeptical" about reports that Assad's regime has accepted Russia's proposal. "We should be [skeptical]," said McCain, who favors a military response to Assad's alleged use of chemical weapons. "Assad has refused to acknowledge that he even has chemical weapons." Still, McCain added, perhaps Assad wouldn't even consider accepting such a plan "if it hadn't been for the threat of a military strike." The Obama administration says intelligence gathered about an attack near Damascus last month indicates that forces loyal to Assad were behind the launching of missiles carrying deadly sarin gas. The administration says it believes more than 1,400 people were killed and even more were injured. On Tuesday, the independent organization Human Rights Watch issued a report saying it has concluded that "available evidence strongly suggests that Syrian government forces were responsible." Also Tuesday, on NPR's Tell Me More, former International Criminal Court prosecutor Luis Moreno Ocampo, said nations need to agree that those responsible for using chemical weapons are brought to justice before an international tribunal. Sen. Joe Manchin (D-W.Va.) continues to lobby for a bill he’s cosponsoring with Sen. Heidi Heitkamp (D-N.D.) promoting a diplomatic solution to problems in Syria. Manchin and Heitkamp have proposed a joint resolution that would give Syria’s president 45 days to agree to sign the Chemical Weapons Convention and comply with its provisions. The Convention prohibits the development, stockpiling or use of chemical weapons and requires they be destroyed. 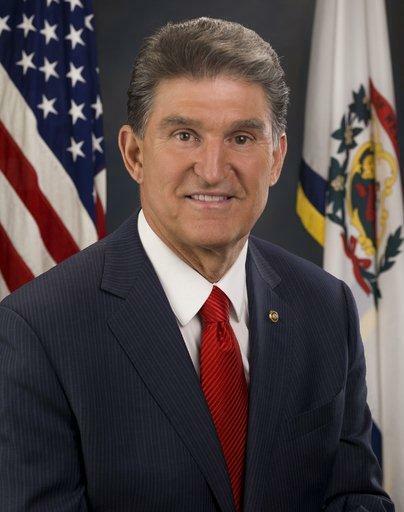 At this point Manchin opposes the Obama Administration’s proposed limited military strike.